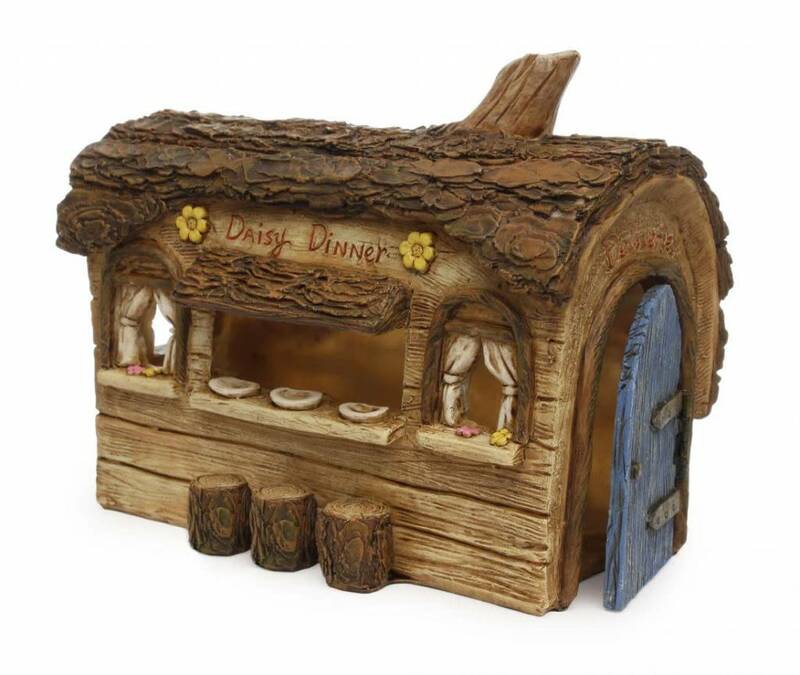 Want a cosy place to dine with friends in the fairy garden? Look no further than the Daisy Dinner. Want a cosy place to dine with friends in the fairy garden? Look no further than the Daisy Dinner. This lovely log is decorated with flowers and curtains, it also has a hinged door. Eat in at the counter with 3 stool places or take away from the serving hatch. Measures approximately w17:d11:h14 cm.